Thanks for your interest in helping support our programs! NPSI provides numerous free and low-cost training courses such as “Surviving the Active Threat” (active shooter/killer response) and “Human Trafficking Awareness” to the community. 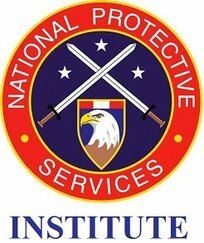 Additionally, NPSI has fully developed and is attempting to deliver an academic degree program (Certificate/Associate/Bachelor) to train students to attain the important education, training, licensing, and certifications needed to prepare them to work as a protection professional. Our programs help make communities safer; your contribution helps us to do so. NPSI has been determined to be exempt from federal income tax under Internal Revenue Code (IRC) Section 501(c)3. NPSI is classified by the IRS as a public charity. As a donor, you can deduct contributions you make to us under IRC Section 170. We are also qualified to receive tax-deductible bequests, devises, transfers, or gifts under Section 2055, 2106, or 2522. Our Employer Identification Number is: 27-3418748.